Well good afternoon ladies and gentlemen (unless you live on the other side of the planet, then I'm terribly sorry for waking you up)!!! 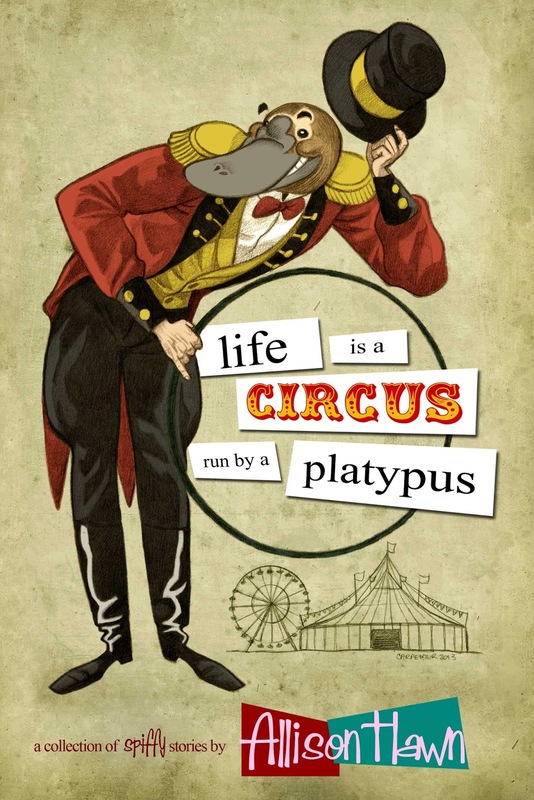 First off, the contest to win a signed copy of Life is a Circus Run by a Platypus and get your own writing a spot in my next book is still going on! All you have to do to enter is complete the sentence, "Going through airport security is like..." in either the comments below or on my Facebook page! I've gotten some awesome entries so far, but would love to see what ya'll can come up with. Well this has been another lovely week of crazy following me wherever I go. It all started out on Monday when I had to call the government tech support for a program I have to use for my state reporting at work. What I was expecting was some bored sounding tech support person who was going to ask me a dozen times if the reason the program wasn't working was because I had forgotten to turn my computer on. Instead what I got was a very gruff female voice that said, "Ya, what'd'ya want!" I explained the issue the program was giving me and I heard some keys tapping on the other end of the phone line followed suddenly by, "Alright toots, so the program is completely FUBAR-ed (if you don't know what that means, go ask a Marine) on our end. Give us the afternoon and I'm sure Jerry can fix it. Hey Jerry, put down that ping-pong paddle, we got a program on the fritz! Alright sweetheart, give us a few hours and we'll get it back up and running." And with that she hung up the phone. Apparently her threats to Jerry worked as a few hours later I was able to file my state reports. I have never before been called "toots" by tech support, that was definitely a new one. This wasn't the strangest event of my week, though. I was out and about in downtown Spokane when I was approached by one of the scariest transvestites I have ever seen. 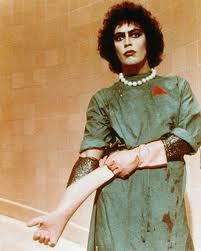 Now when I say "scary" I don't mean wielding a pickaxe and chasing after a man on a motorcycle type of scary transvestite like Dr. Frank N Furter. No, I mean her wig was on practically sideways, she was wearing olive green shiny tights that were testing the very laws of physics as they tried to contain everything and it looked like she had applied make-up by trowel, trial and error in the dark that morning. I could smell waves upon waves of rum as she approached me. She teetered on her heels as she glanced down at me and said, "Daaaarling." From experience, let me tell you, when a drag queen starts out with, "Daaaaaarling," it's never good. She nearly fell over with her first word, but righted herself and managed to slur out, "Girl, your hair just does not look right. That is the worst dye job I have ever seen! Get that fixed!" Then she teetered off down the street. I wasn't really sure how to break this to her, but my hair isn't dyed. In fact, I haven't dyed my hair since college. Apparently though, I need to go get that fixed. Add in the lady who told me that in a past life she was a dark elf fighting hobbits and the small child who attempted to color on the walls in my office, and it was an interesting week to be sure. Did anyone else have bizarre happenings this week? As always I would love to hear about them! Remember you can follow my exploits on Facebook, Twitter and Goodreads! 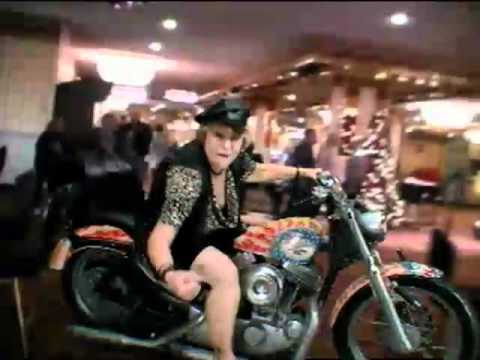 That motorcyclist is NOT your mother. I know your mother. That is NOT your mother. There.